On the eve of its second meeting, the FINRA Dispute Resolution Task Force received a joint letter from PIABA and several other consumer groups urging it to recommend the release of data about the FINRA arbitration program. 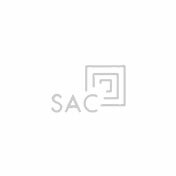 Court Calls Arbitration Clause Too Confined to Count in the Case: Pictet Funds (Europe) S.A. vs. Emerging Managers Group, L.P.
Spring Training Starts Soon. Time to think about….Arbitration?? I am a baseball fan from way back.